I'm really into jeans, delicate prints, fabrics and colours at the moment. 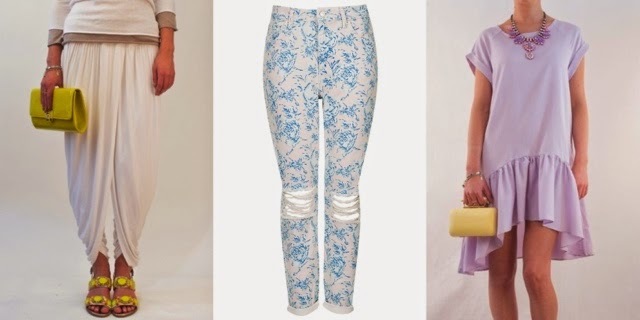 And also loose but flattering pieces like the pants and the lilac dress! I've recently discovered Laundry Boutique online, and I am happy enough to be working with them very soon! I'm literally obsessed with their collections and know I will be buying a few pieces from them in the future. 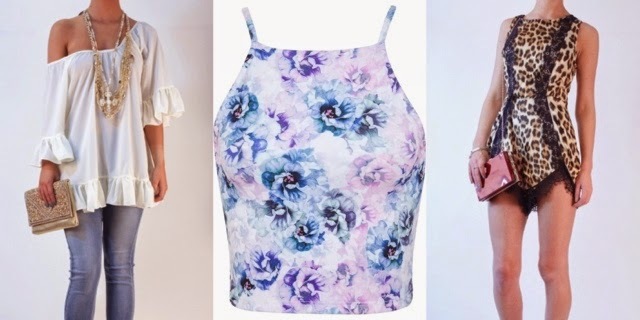 I'm considering all the things I've listed here as future purchases, especially that gypsy top! I'd love to dare the leopard print playsuit but I don't know if I could pull it off! Topshop also have some lovely pieces including the cute printed mom jeans and that midi skirt in all sorts of colours. I'd love to add the lilac one to my wardrobe! I'm really coveting all these pieces right now and when you haven't got the cash to splash it's hard to pick which ones you want the most! What people you pick if you only had to buy one? I think I'd go for the lilac dress, just because it's an outfit all on its own, and different to anything I already own!